In the old days the household notebook was common place. 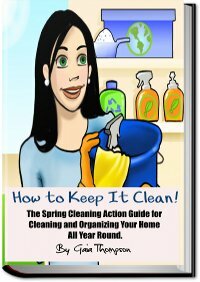 Women would pass down the housecleaning tips, recipes for cooking, and recipes for homemade cleaning products and remedies for cuts and bruises, daily schedules and meal plans. A lot of this wisdom was bound in scrapbooks (a.k.a. Household Notebook). Today, there seems to be a much needed revival of this tradition. The idea of creating a household notebook is more like making a home management system. A system for keeping you organized, your family organized and your home organized. Creating a household notebook will help reduce or eliminate chaos. If you are anything like me you know that there is work to be done - you see it all around you. The floors need mopping, the windows need cleaning, you dread opening the refrigerator, the laundry is piling up and only you can distinguish the clean from the not so clean. Not only that, but you might live with the others who don't have a clue about cleaning or where they're supposed to be at a certain time. Fill it with family schedules, meal plan, chore charts, grocery lists etc. This way everyone in the family knows what it takes to run the household they live in. If you home-school your children you can add a section to you household notebook. Or if it's just you and you spouse, you can include travel information, training, warranties, budgets and medical information. You see the household notebook is flexible and you can create it according to your needs. There is however - one small but important caveat about the household notebook. There are some bits of information you do not want to place in the household notebook. Like if you do online banking or shopping online - don't put your password information in the notebook. Look at it this way. When creating your notebook - picture your worst enemy casually browsing through. If there is any part that you would die if they see it, then don't include it in your household notebook. For me personally, the idea of a household notebook is brilliant. Rather than have stuff written on every loose piece of paper I can find I can have it neatly store in one place for easy access. However, if it gets to big consider making more than one notebook for different sections, like you can put meal plans in it's own notebook, children's schedule in another. Finally, to make checklists for your household notebook - you can use the online checklist maker here. Be sure to read to instructions at the bottom of the page.